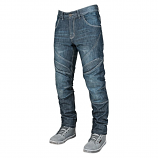 Street Bike Riding Jeans - Everybody loves being comfortable on and off the bike and street bike riding jeans have become increasingly popular and have made some good advancements over the years for casual riders who are on and off the bike a lot and want to keep the same pants on throughout the day and commute. Street Bike Cold Weather Pants - When you look at your weather forecast and see that it’s going to be a chilly one, but you still want to go for a ride you will need to pull out your Street Bike Cold Weather Pants and keep warm. 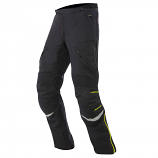 Having a pair of cold weather riding pants is important for riders who love to ride in all conditions. Street Bike Hot Weather Pants - We all love when summer comes around, and the bike comes out of the garage, but when the weather is too hot then it becomes a problem for long rides and staying comfortable. 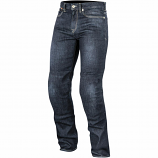 We offer an excellent selection of pants that are made for hot weather that will help you stay cool on your long motorcycle ride. Rain Pants - When the rain falls as riders we look at the window and think crap now what. You can get in your car, or you can put on your new set of street bike rain pants and go for a ride. 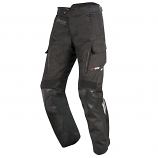 Before you do that make sure you check out our full selection of rain pants and if you are not sure what to buy we have experts here ready to answer your questions. Street Bike Race Pant’s - Do you drag knee and attend track days? Or are you a daredevil that likes to drag-knee in the canyons? We supply on the best for no matter what you do to get your race adrenalin rush. All our race pants are top quality materials and from the best brands available. Women’s Street Bike Pants - Shop a full selection of women's pants at deep discounts. Women’s pants are made from top quality materials, and we only carry top premium brands that have been fully tested and fitted to ensure quality.